I went out to take a few photos of the farm I have listed for sale on Weogufka Creek near Stewartville last week and came across these turkeys on the place. Now, this is not all of them, it is simply all I could fit in the frame of the photo. Neal Vinson, another of our Land Agents at AlaLandCo, was with me and can vouch for my story here. We were close enough to these turkeys that I thought I might jump and grab one by the neck. 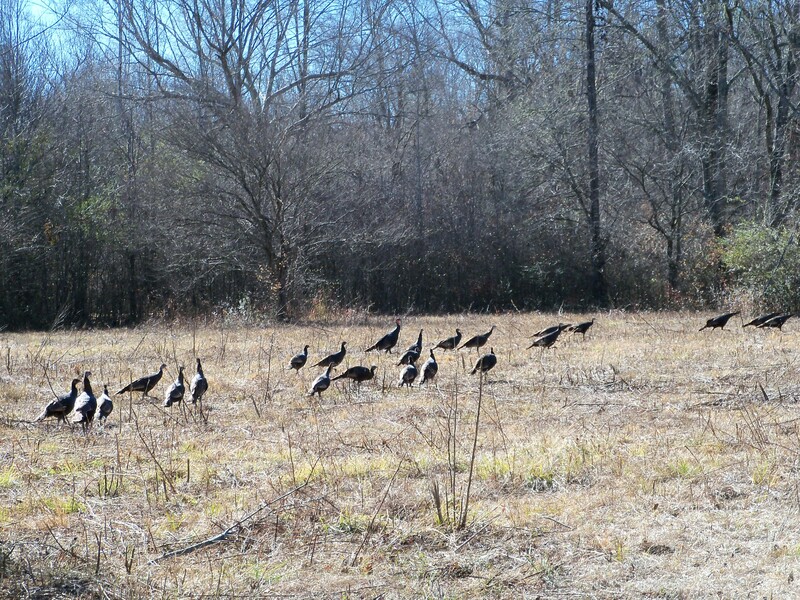 Never have I seen so many wild turkeys in one place, and quite willing to tolerate my presence. We drove to within 20 yards of these in my Blazer. When they eventually did fly, it reminded me of those shots on National Geographic when a group of migratory birds take flight…it was awesome!